NASA’s next mission to Mars -- InSight -- is expected to land on the Red Planet on Nov. 26, 2018. InSight is a mission to Mars, but it is also more than a Mars mission. It will help scientists understand the formation and early evolution of all rocky planets, including Earth. 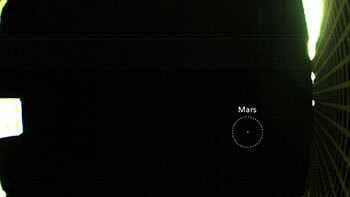 In addition to InSight, a technology demonstration called Mars Cube One (MarCO) is flying separately to the Red Planet. It will test a new kind of data relay from another planet for the first time, though InSight’s success is not dependent on MarCO. 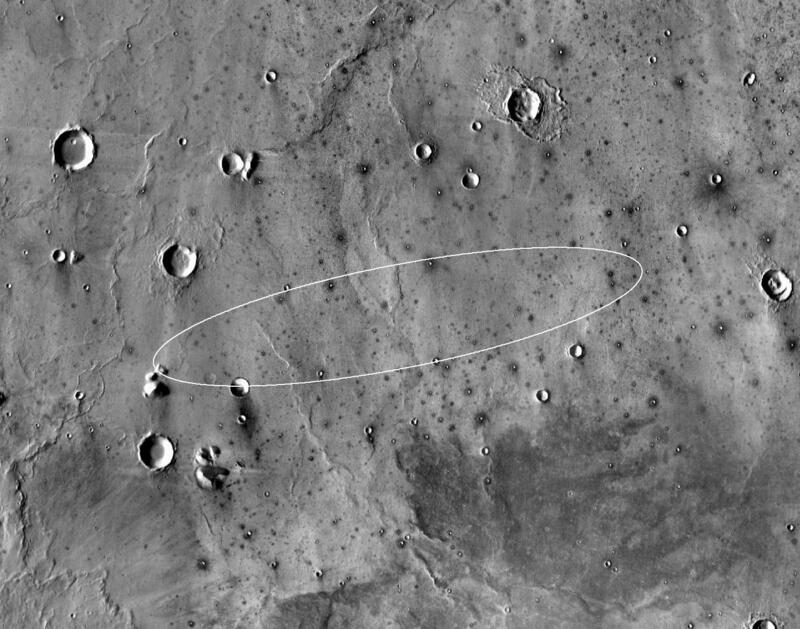 Only about 40 percent of the missions ever sent to Mars -- by any space agency -- have been successful. The U.S. is the only nation whose missions have survived a Mars landing. The thin atmosphere -- just 1 percent of Earth’s -- means that there’s little friction to slow down a spacecraft. Despite that, NASA has had a long and successful track record at Mars. Since 1965, it has flown by, orbited, landed on and roved across the surface of the Red Planet. 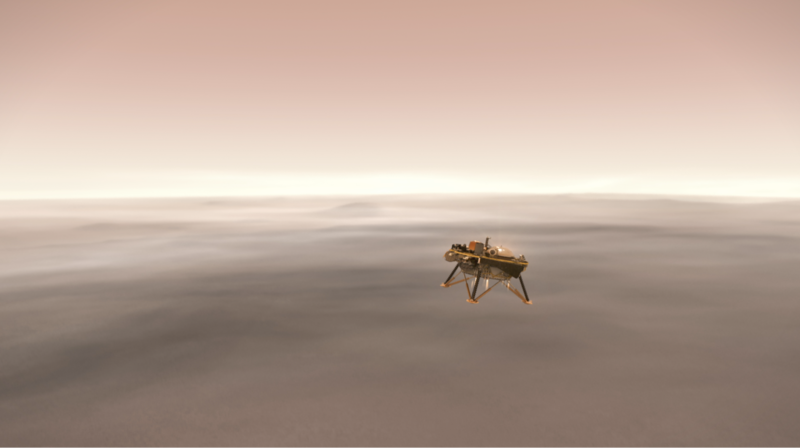 In 2008, NASA’s Jet Propulsion Laboratory successfully landed the Phoenix spacecraft near Mars’ North Pole. InSight is based on the Phoenix spacecraft, both of which were built by Lockheed Martin Space. Despite tweaks to the heat shield and parachute, the overall landing design is still very much the same: After separating from a cruise stage, an aeroshell descends through the atmosphere. The parachute and retrorockets slow the spacecraft down, and suspended legs absorb some shock from the touchdown. 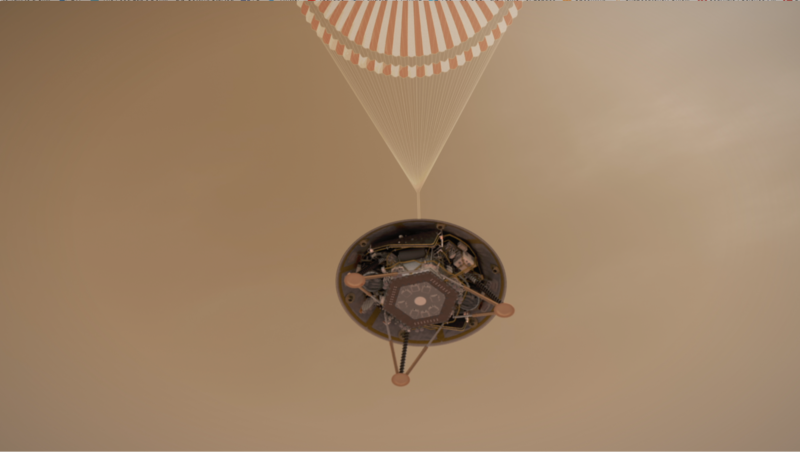 InSight’s engineers have built a tough spacecraft, able to touch down safely in a dust storm if it needs to. The spacecraft’s heat shield is designed to be thick enough to withstand being “sandblasted” by suspended dust. It also has a parachute that was tested to be stronger than Phoenix’s, in case it faces more air resistance due to the atmospheric conditions expected during a dust storm. The entry, descent and landing sequence also has some flexibility in handling shifting weather. 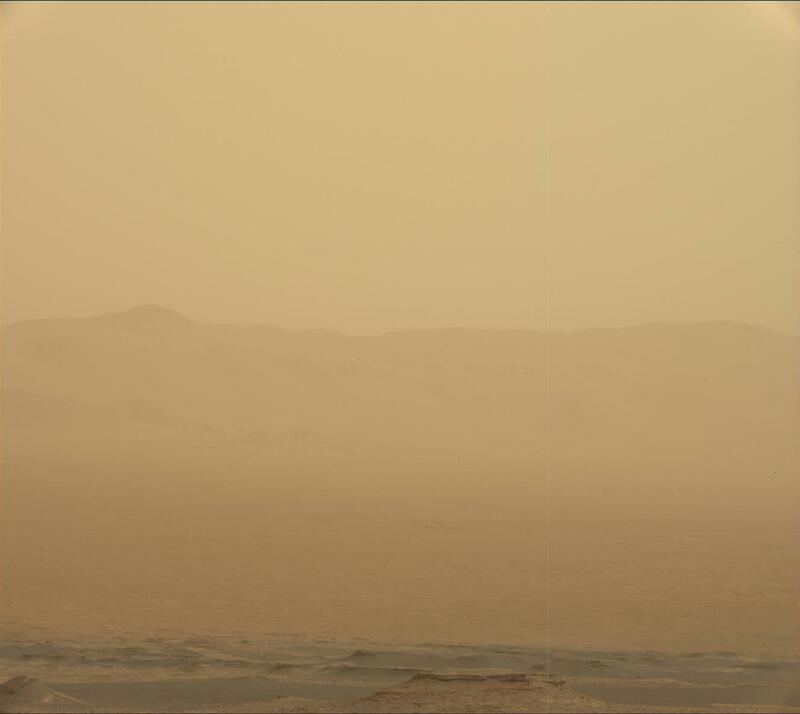 The mission team will be receiving daily weather updates from NASA’s Mars Reconnaissance Orbiter in the days before landing so that they can adjust when InSight’s parachute deploys and when it uses radar to find the Martian surface. InSight’s team hopes that by studying the deep interior of Mars, we can learn how other rocky worlds, including Earth and the Moon, formed. Our home planet and Mars were molded from the same primordial stuff more than 4.5 billion years ago but then became quite different. Why didn’t they share the same fate? 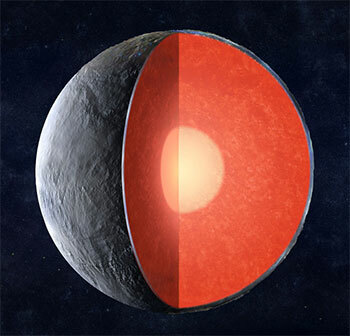 When it comes to rocky planets, we’ve studied only one in detail: Earth. By comparing Earth’s interior to that of Mars, InSight’s team members hope to better understand our solar system. What they learn might even aid the search for Earth-like exoplanets, narrowing down which ones might be able to support life. So while InSight is a Mars mission, it’s also much more than a Mars mission. 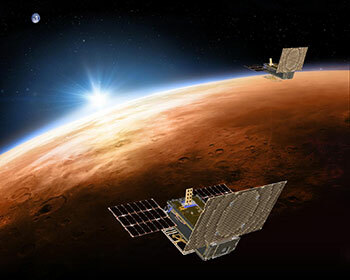 Two mini-spacecraft called Mars Cube One, or MarCO, have been flying on their own path to Mars behind InSight as a separate NASA technology experiment. MarCO is the first deep space mission for CubeSats, a class of briefcase-sized spacecraft that rely on miniaturized technology. 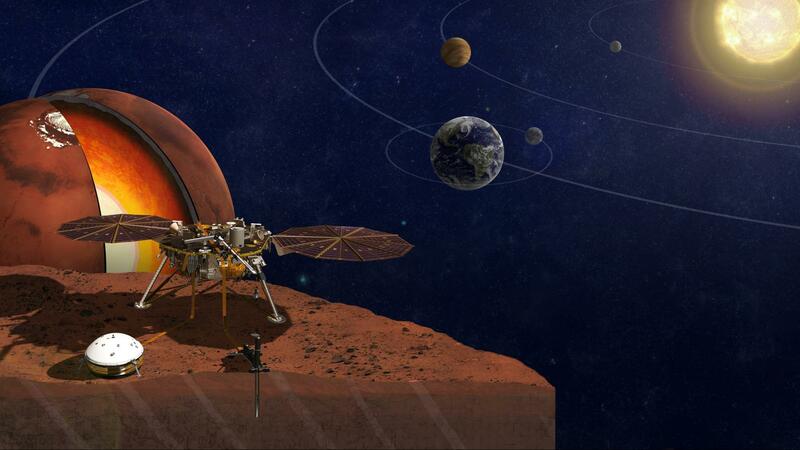 If the MarCOs make it to Mars, they will attempt to relay data from InSight as it enters the Martian atmosphere and lands. If successful, this could represent a new kind of communication capability to Earth. The MarCOs have proved this class of spacecraft can survive the deep-space environment, becoming the first CubeSats to provide images of Earth, its moon and Mars along the way. They’ve successfully tested several experimental technologies, including their radios, high-gain antennas and propulsion systems. They became the first CubeSats to fly to deep space, they performed the first trajectory correction maneuvers by CubeSats, each steering towards Mars. InSight and MarCO are separate missions. The MarCOs were never intended as the primary telecommunications relay for InSight during landing. 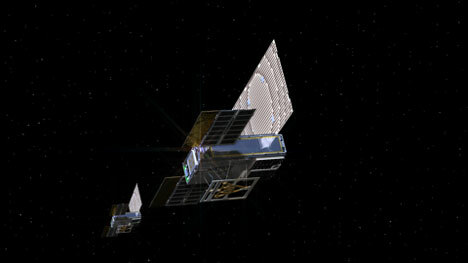 NASA’s Mars Reconnaissance Orbiter and 2001 Mars Odyssey orbiter have that primary responsibility.